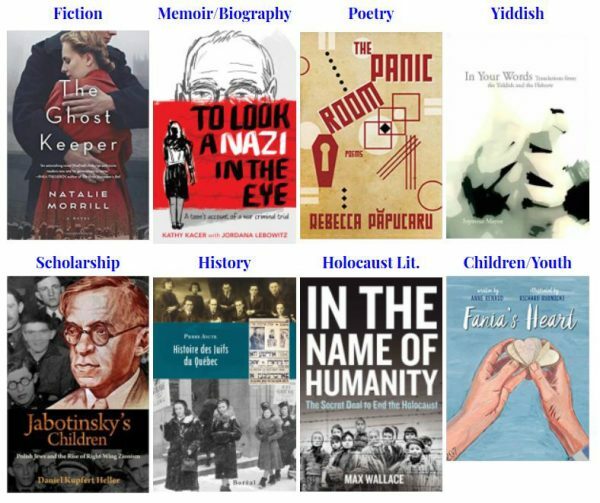 TORONTO, Wednesday, Oct. 10, 2018 – The Canadian Jewish Literary Awards is honouring eight outstanding books for 2018 at a ceremony hosted by York University, Oct. 14. At the event, book lovers will be treated to readings by authors of the winning works in categories including fiction, memoir/biography, poetry, history, scholarship, holocaust literature, and books for children and youth. The Awards are hosted and sponsored by the Israel and Golda Koschitzky Centre for Jewish Studies at York University.